So you’ve decided to get into the sport of ocean paddle boarding. Novices to this type of boarding may be unaware that there are various types of boards which are used for different purposes. The type of board you buy can significantly impact the ideal conditions for efficient use of the board. In order to choose the right board, you need to think about what kind of activity you’ll be doing. Are you interested in long-distance paddling out beyond the surf? Or are you more interested in the higher energy rush of wave riding and racing? The following are some of the things to look for in a good ocean stand-up board. It’s said that a board with a wide, flat bottom provides greater stability for beginners. When first starting out, this is a good option to help you learn to stand up for longer periods of time. But this stability comes with a cost in that the wide surface area of the board makes it more difficult to maneuver. This isn’t as much of a problem when conditions are calm. But when negotiating waves the larger surface area of the board becomes a liability. When you become accustomed to standing on the larger boards in calm water, you might want to try negotiating choppier water. If you do, you can look into your options with an all-around more balanced and slightly smaller board that’s designed for both stability and maneuverability. The length of the board is important to consider when deciding the conditions you want to paddle in. Short boards are less than 9 feet in length and are best used for surfing due to their good maneuverability. 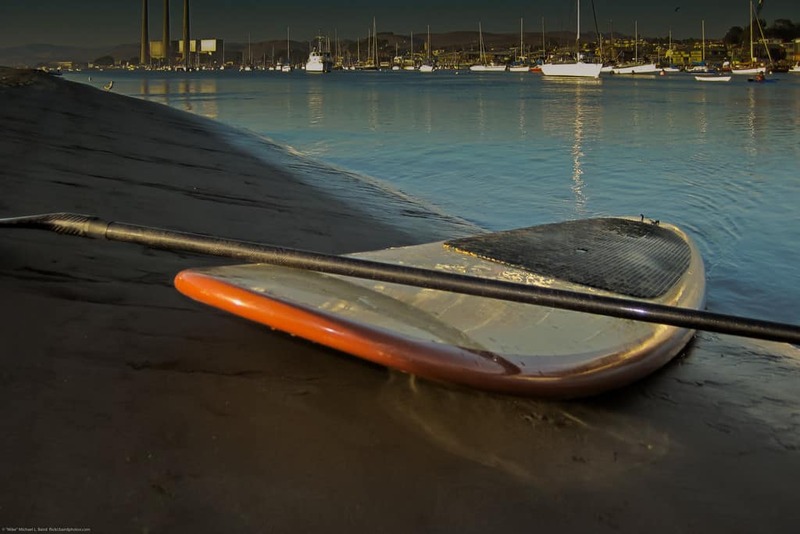 Medium boards are about 9 feet to 12 feet and are adequate for all-around use and ideal for calmer surf conditions. Long boards are 12 feet to 14 feet and are great for boarders serious about racing or touring. These boards are good for long distance paddling or keeping up with the competition during a race. The rocker is the amount of bend in the board. In ocean stand-up paddle boarding it’s most important to have the right nose rocker, or lift at the front of the board. If you plan on doing your boarding mostly in calm water, it’s best to have less lift at the front of the board to make it easier to push the board forward long distances. Too much lift at the front of the board creates greater amounts of friction with the water and requires more energy to move forward. On the other hand, if you’re more interested in traversing the surf, it’s essential to have more nose rocker to keep the board from digging into the water at the front and throwing you off. 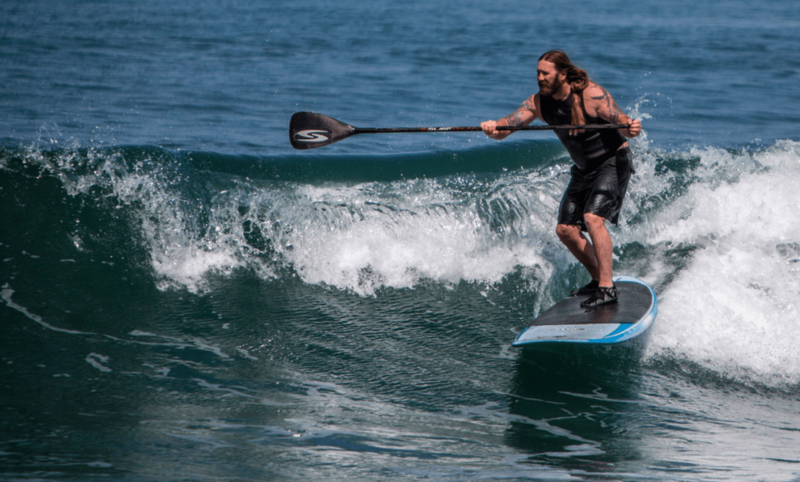 Similar to the rocker on the board, volume is an important consideration when deciding whether you want to paddle long distance in calm water or ride the surf. High volume boards sit higher in the water, making them easier to paddle and ideal for touring. The trade off is maneuverability, making a high volume board less than ideal for navigating waves. When riding waves, a good balance between the high volume boards and low volume boards is better for catching waves and maneuvering without falling off too easily. The amount and placement of the fins on the board is an indicator of the type of activity the board is meant for. Most touring and cruising boards have a single large fin in the middle. All-around boards usable in either calm water or surf usually have a large middle fin with two smaller fins on either side. Boards meant primarily for surfing have three or four smaller fins of the same size to provide better movement in choppy water. Before making a stand-up board purchase, decide what your primary focus in boarding is going to be and pay attention to the dimensions, shape and fins on the board. Larger, flat-bottomed boards with a single fin, less nose rocker and higher volume are great for beginners and long-distance boarding out beyond the surf. Smaller boards with multiple fin configurations, a good amount of nose rocker and a balanced volume are made for riding and surfing waves. If you’re not sure which type of activity is right for you, try to borrow or rent different boards and try them out before making a purchase of your own. Knowing what type of board to buy before you make that board purchase will ensure that you make the right decision and have years of enjoyment ahead with your new board. 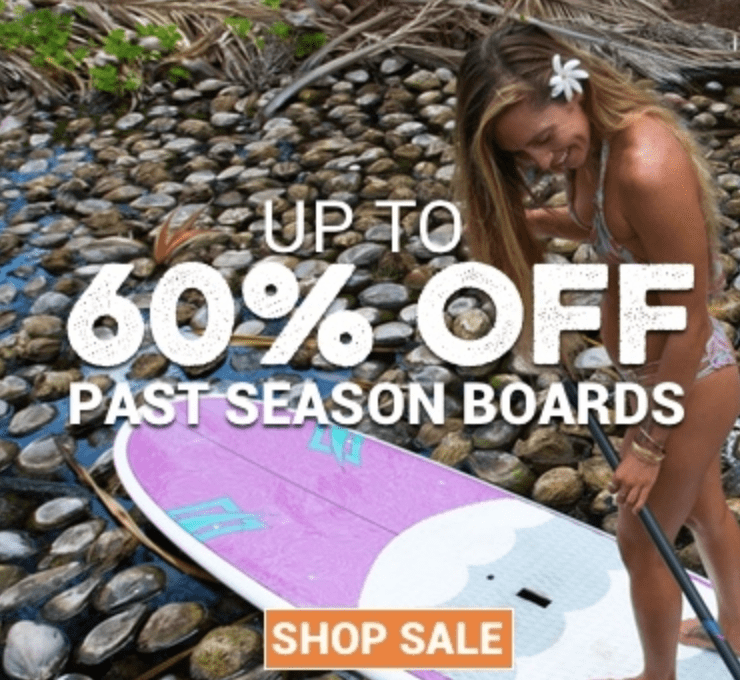 If you need more help making a decision or need some prices so you can compare, be sure to check out our paddle boards for sale page and see what we have in stock for the ocean and where you can get the best prices. You can also email me and I can answer any questions as well.